Choosing a commercial garage door company in Minneapolis, MN, can be a stressful situation since the wrong decision could lead to a loss of productivity and overall profits. Fortunately, you have a company nearby that you can trust. O&L Door Systems has been serving the area for the past 20 years. When you choose to work with us, you’ll quickly benefit from our commitment to exceed all customer expectations. We’ve been here a long time, which means the fine people living and working in Minneapolis are our neighbors and friends. We only have an interest in supplying the highest-quality products on the market. When it comes to our commercial installations, we’re proud to be your local Authorized Clopay® Dealer for commercial doors. Clopay manufactures among the most trusted products on the market, and their doors and accessories are known for exceptional style, quality and durability. Our installations and replacements alike are performed according to the highest measures of compliance available. We’ll always answer any questions you may have throughout the process. Front Entry Doors: Our wide range of front entry door solutions will provide a quality door that matches the rest of your building, enhances its look, and provides a high level of reliability. Coiling and Fire Doors: For a code-compliant, durable coiling or fire door, you can rely on us to install only the highest quality to enhance the safety of you, your employees and your customers. 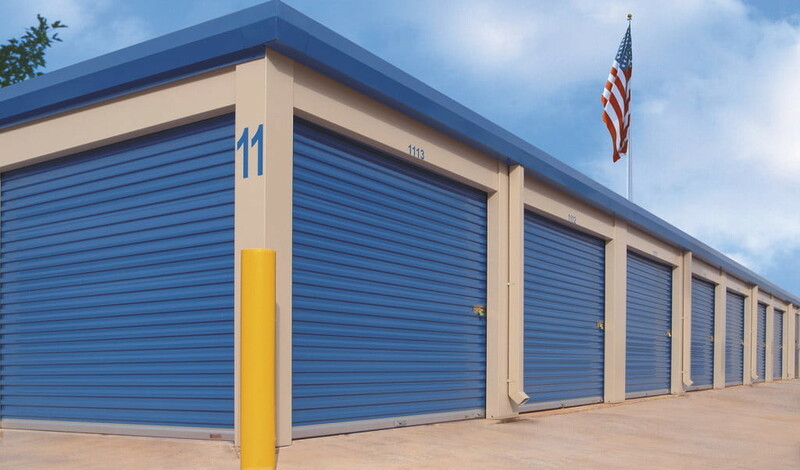 Warehouse Doors: Large storage facilities need quality warehouse doors. Some require roll-up doors, while others need doors to swing open for easy staff access. The one thing we know for sure is that we’ll work with you until we find the perfect product for your needs. High-Speed Doors: Plenty of businesses need a door that opens and closes without delay, which is why we have a selection of high-speed options. Fire companies and other businesses can’t wait around for a slow door — we make sure that never happens. We don’t stop at installing commercial garage doors. We also offer full commercial door services in and around Minneapolis, MN, for all major brands, even if we didn’t initially install the door. We know you can’t afford to lose valuable company hours and run the risk of missed deadlines because of vehicles and items stuck behind broken garage doors. To help combat unexpected issues, we offer 24/7 services all year round. When you call to let us know about an emergency, our technicians will show up quickly with fully-stocked vehicles to solve the issue. Whether you have industrial doors, rolling steel doors, docks, gate openers or another piece of equipment, we can help if something goes wrong. With so many moving parts in every type of garage door, any number of components could be the culprit for a malfunction. We won’t take long to inspect the equipment, diagnose the problem, recommend a solution and complete repairs and replacements upon request to get you back up and running as quickly as possible. Instead of waiting for a problem to arise, you can avoid them by opting for maintenance services. At O&L Door Systems, we’ll perform preventative maintenance and suggest regular plans so that your doors stay in their top condition for years to come. If you need an installation or garage door service like commercial overhead door repairs in Minneapolis, MN, don’t wait. Contact O&L Door Systems online or by calling (612) 623-1817 right away for a company you can depend on.